In 1849 the Irish Peat Company at Kilberry, Co. Kildare produced chemicals and candle wax from the distillation of peat. Jasper Rogers produced peat charcoal from 1850 to 1857 at Robertstown, Co. Kildare. In 1860 Mullingar was lit by peat gas, while the same year Charles Hodgson erected a briquette factory at Derrylea, Co. Kildare, this operated until 1870. In 1870 at Birdhill in Limerick attempts were made to condense hand-won turf, to distil oil and produce charcoal. In 1903 the Callendar Paper Company produced wrapping paper which incorporated peat fibre, they also made postcards from peat paper. 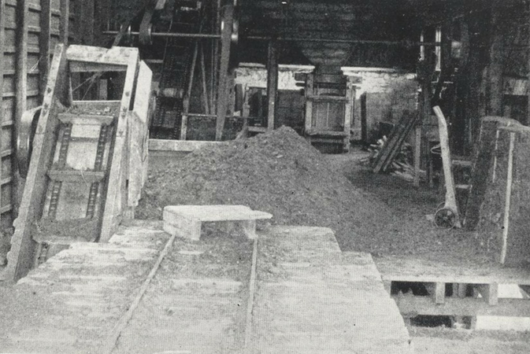 In 1906 Bessey made electro-peat-coal at Kilberry until his company was dissolved in 1914. In 1917 Harmon and Daubier experimented with peat and pitch at Ballycumber and made peat-coal nuggets until the factory burnt down in 1922. The Umeras peat factory, founded in 1890, near Monasterevan, supplied moss peat litter to the British Army for use in stables and also manufactured firelighters from hand won turf. These were just some of the attempts at the industrial use of peat during this period.